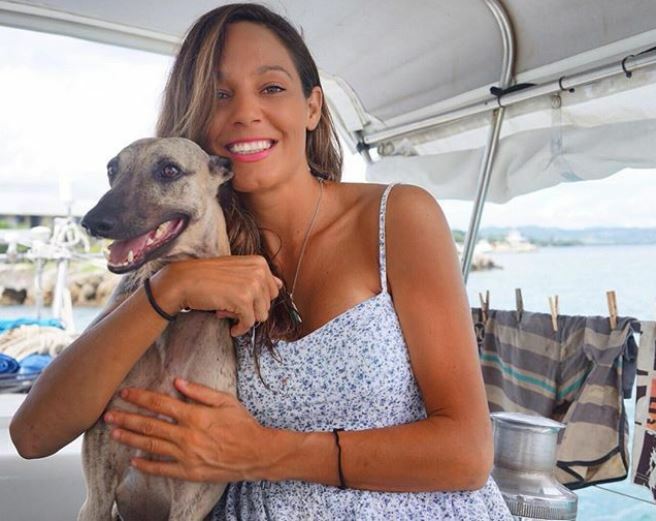 At Jetpets we pride ourselves on being able to transport any animal to any location in the world, so when the captain of the yacht “Sailing Nandji”, Jared Laver contacted us to reunite both himself and his partner, Bonita with their beloved Whippet Marley, we jumped at the chance. The challenge however was that Jared and his partner were currently sailing around the Solomon Islands on their yacht and Marley was travelling from Australia to meet with them. While the decision to leave Marley behind in Australia for the first length of their voyage was unavoidable the pair were determined to be reunited with their travel buddy Marley somewhere along the way despite the challenges that this would pose but Bonita said it best when she said, “If you want to travel fast you go alone, If you want to travel far…you go together”. Initially they had planned to arrange Marley’s travel themselves but after realising how complicated the requirements were, Marley’s veterinarian recommended they contact Jetpets to ensure that the important paperwork was completed correctly by the experts as an incorrect form could lead to a very expensive problem. “If any of the paperwork was incorrect or if we made one mistake then Marley could be sent straight back”, said Jared Laver. So Jetpets set to work making all the unique arrangements for importation in to the Solomon Islands as well as the specific vet work that was needed prior to travelling. Our pet travel consultant was made aware of the unique circumstances and was able to communicate with Jared and Bonita via email from their yacht in the Solomon sea, making the entire process possible. With the pet travel arrangements all made, and triple checked we informed Jared and Bonita when Marley would arrive, and the pair excitedly made their way to the little airport to be reunited with Marley. Although they experienced flight delays the pair were successfully reunited with Marley later that day and little Marley was so happy to see them, wagging his tail so vigorously he was almost drumming inside the pet travel crate. It’s easy to see the strength of the bond shared between these three world travellers and to be a part of their reunion is just one of the many rewarding reasons we do what we do. Please click through and watch the entire episode on their YouTube channel you won’t regret it, and make sure you have a box of tissues handy, it’s a bit of a tear jerker. Travelling Abroad With Your Pet? Here is our definitive list of tips you need to know. Is your furry family member travelling?